Size 18 and up (24″ straps+ 13″ of webbing; waistband fits 26″-60″)- great for large busted women, and tall men. ** Please be advised that soft structured carriers are made to be worn more loosely than mei tais and wraps. This may take a little getting used to if those are the kinds of carriers you are used to wearing. Tightening your straps as far as they go, and then easing back on the buckle slightly, will give you your best fit. Avoid tightening straps too tightly- this will cause neck strain and underarm rub. Yes! We are tested to the current US government standards, per the CPSA, CPSIA, and ASTM. We meet and exceed all standards set forth for infant and child safety, when used according to instructions. This means that you can know that your Kinderpack is a high quality, safe product for your baby! We are also proud members of the BCIA, a professional organization of baby carrier manufacturers and retailers, who keep us informed of all new and upcoming compliance issues. 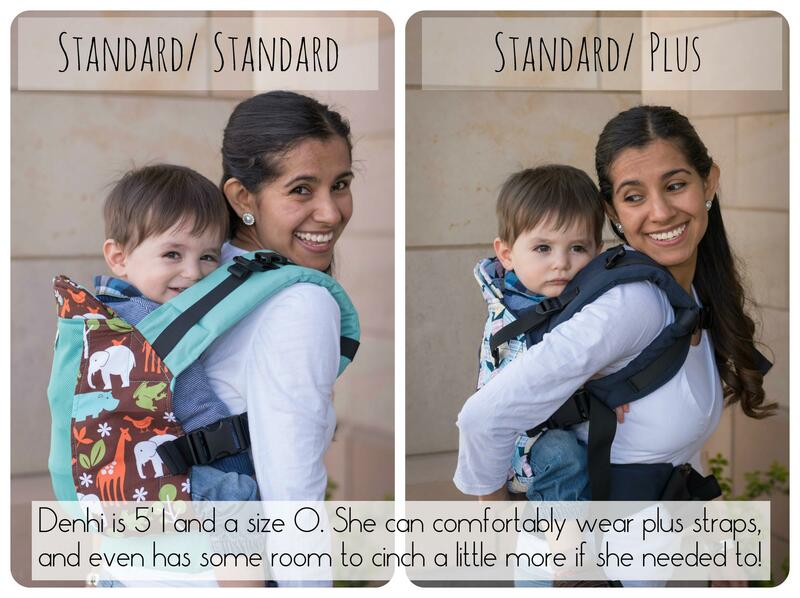 Kindercarry warranties your Kinderpack for 1 year on purchases made from our website or an authorized retailer. Within the year of purchase, if something should happen to your carrier that is deemed beyond normal wear and tear, please contact us. Our carriers are handmade and may have slight variations that do not affect safety or use. Measurements may vary slightly, as well as stitching variations. These instances are not considered flaws. If flaws are noticed on a new purchase, claims must be made within 30 days of receipt. The original owner is the only person who can make manufacturer warranty claims. Warranties are non-transferable. - any carrier that has been altered in any way, including, but not limited to, repaired, dyed, painted, added on to, etc. - damage done to items not used as intended or instructed. - updating or retrofitting previously purchased Kinderpacks to the model’s current design specs. - repairs to Kinderpacks that are not covered under our 1 year warranty. Each situation will be evaluated on an individual basis. We want to provide you with real life "fit pics", so that you can compare your child's size to these children, which will hopefully give you a better idea of which size Kinderpack to choose! For this baby, we suggest the infant size. The standard is far too big, even cinched. In the standard, baby isn't visible or kissable, and legs are over extended. This is dangerous! For this child, we would suggest a toddler size, though standard is a great fit for arms out. For this child, we would suggest a toddler size.